23/05/18 EDIT: Just makin' this an art thread, why not, eh? When it comes to art, I 100% prefer digital stuff. Things I am most comfortable drawing are lineless, toon and, erh, what ever this style is called. Drawing traditionally was fun to do when I was bored in school but I was never really fond of it. 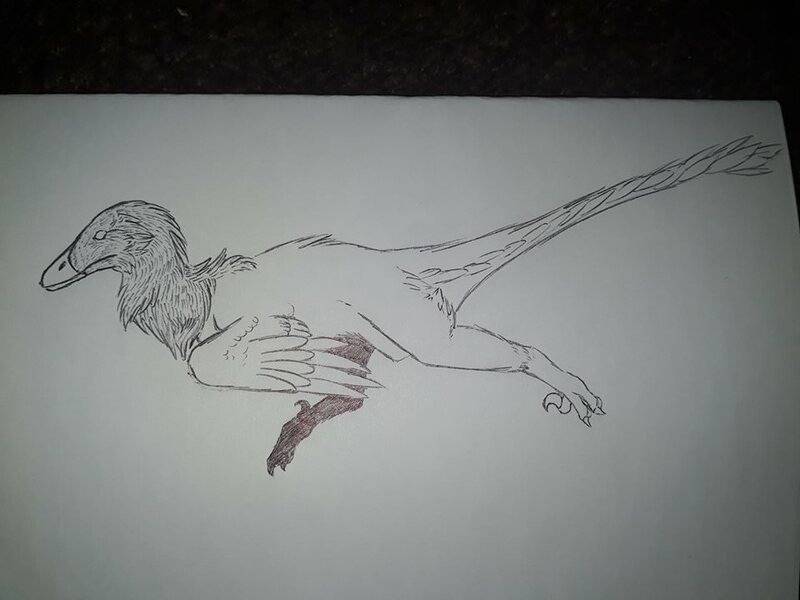 However I do honestly want to get better at traditional art, but I haven't picked up neither a pen nor pencil in over a year (thanks technology) so drawing my first dinosaur was.... not fun. 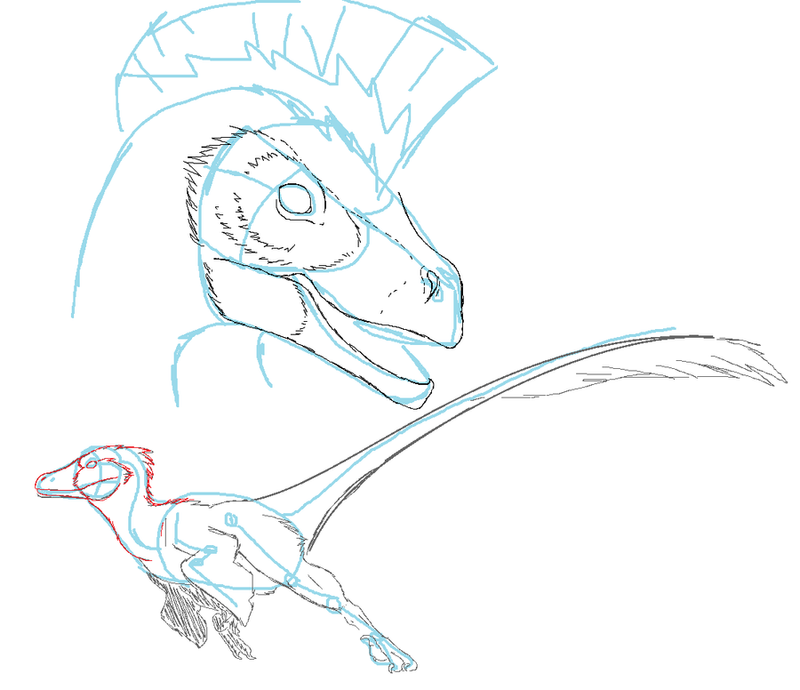 Also, I guess while I've got the attention of some dinosaur artists, could I ask for your advice on making my raptors better too? You have very good skills, I'm no expert but I think that with exercise you can improve and develop your own style. These look really lovely. They definitely look like real animals that you studied in a zoo or something. The eyes on the Cryo are particularly impressive to me. Thank you for sharing your artwork! Did you use the same pencil for the whole Cryo picture? It looks a little flat, which is easily fixable by using pencils of varying hardness. These would bring out the details and shadows much more and add intrigue to the picture. 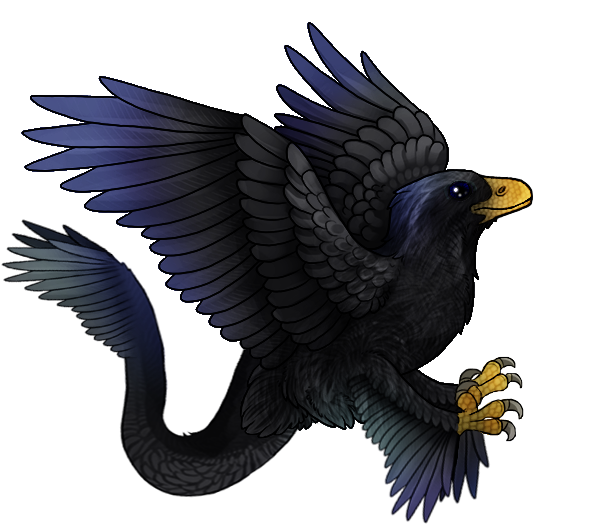 Also, the underside of it´s head is brighter than the top, which should be reversed in most lighting conditions. There´s a few minor problems with shadows in general, the shadow in the antorbital fenestra should be in the top left instead of the lower right for example. Now it looks like an outward bulge, instead of a skull opening. I think the scales are a little boring, as there is very little variation. Modern reptiles have all sorts of different sizes and shapes of scales on their head. What you did might have been a byproduct of this being a sketch, but I still thought I´d mention it. I hope these suggestions will help you in achieving your art-goals and I especially hope you share more of your art in the future! I didn't use a pencil, I actually used a ball point pen, a really cheap one at that. I've also taken note of the anatomical and lighting comments, thank you! Then I´m changing my answer to: Get some (quality) pencils. Knowing this was made with a cheap ball point pen makes it even more impressive, though. Great job! Love the colorscheme on your cryo! Really great work! 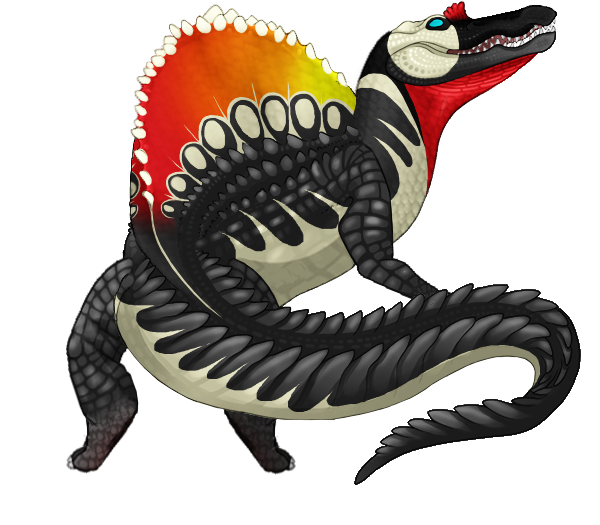 What I love about Allosaurus is that it lived an extremely violent life that was rife with broken bones, cuts, scrapes, infections, sprains, and yet it just kept on truckin. Thank you! Would you happen to know how I could make it better though? Add / remove markings? Use specific colours? 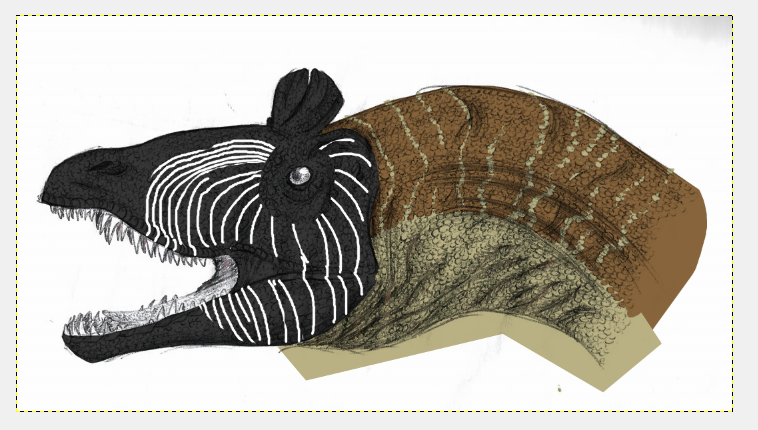 I'd remove a few of the extra white lines around the head, as they look a tiny bit cluttered. I'd also play around with making them different colors. Maybe blue? Maybe orange or red? I suppose it depends on if you're going realistic or style. Red lines on a the black face could signify a male trying to impress a mate or scare off a rival. Less clutter, more colour, got it! For practise in physical drawing I think one or two would work okay. 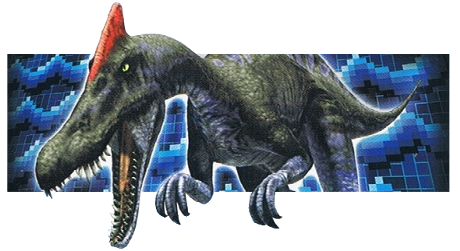 Looking at both your dinosaurs: you aren't getting anything particularly wrong, and I don't know your process, but it looks like you're trying to inscribe the final outlines and details onto the paper, in the first pass. Do you use any construction methods, i.e. measuring and lightly sketching in the skeletal proportions and big, basic shapes (even the 3D forms), and adding and refining smaller and smaller details? 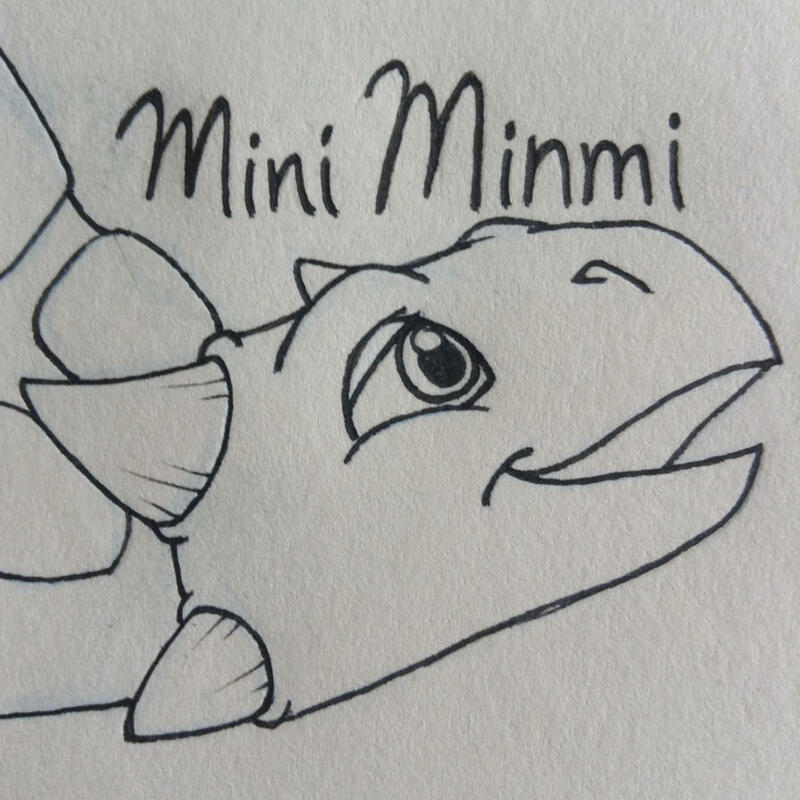 (I know you said you're using a sketchy style, but even so...) I think it would help ensure a bit more precision. On the topic of details: again, I don't know how in depth I should go, because you seem fairly comfortable in your digital pieces. 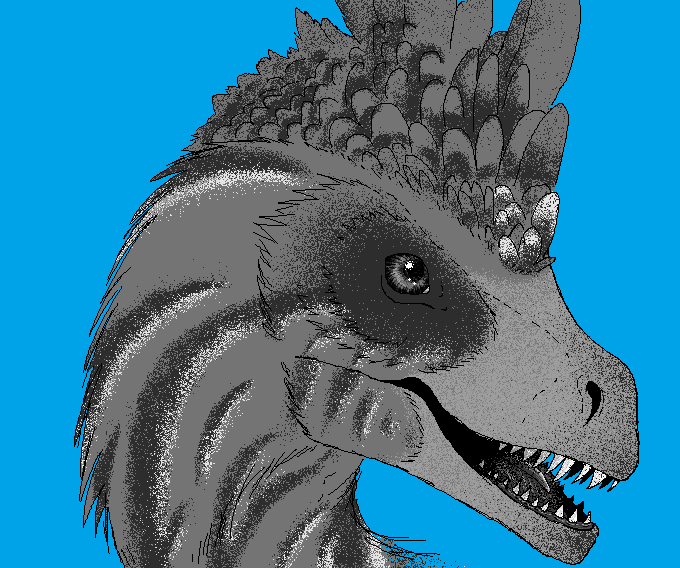 But I think there are some details - like teeth and labial scales - that I think could use a little more time and tweaking; and some - like the texture effect of the other scales and the feathers - could be put on the back burner for now. I can appreciate the dedication to fill them in, but I think they might be distracting make-work at the moment. The tip of Cryo's snout could be a bit deeper. 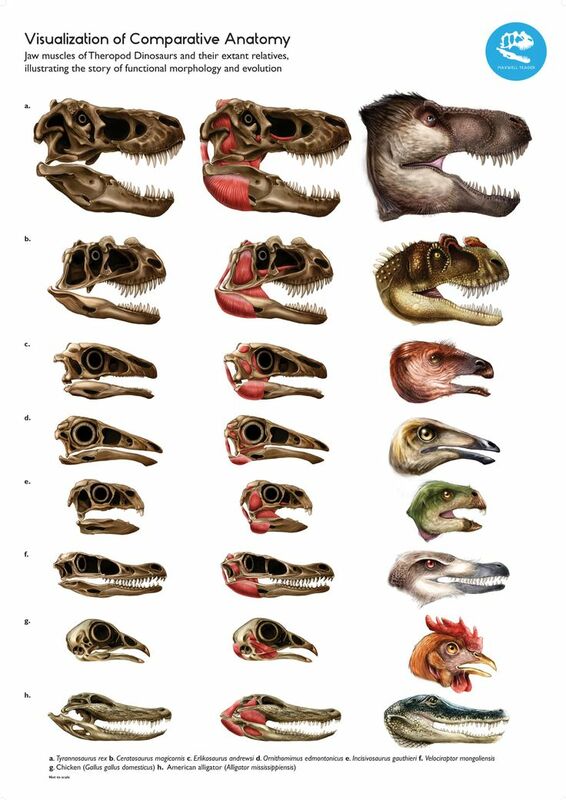 Shouldn't the raptor's nostril be further forward? Ouh I love pixel art and Impressionism so I already love how you've done the colors and shadows. As for the base line, I think it's a great improvement over your first raptor. It feels more "solid", more 3D. 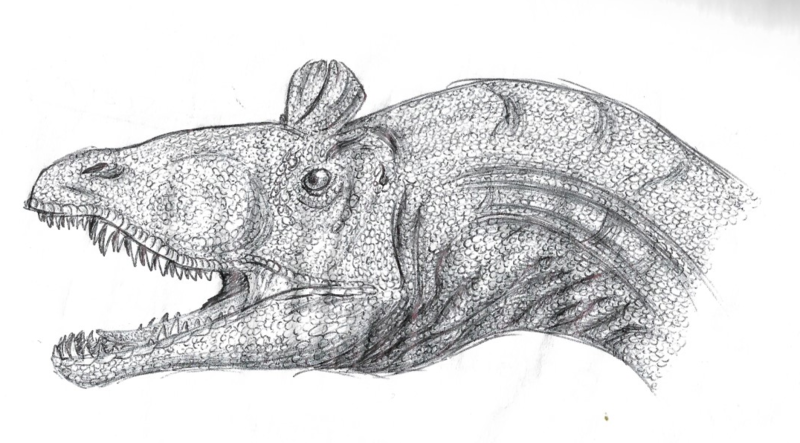 The nose looks a tiny bit shorter than the lower jaw to me and I feel like the toe facing us is a bit too flat. I love the general shape and proportions. I'm not Davy enough to judge accuracy but it looks like a plausible real animal. Another skin for Novilar. 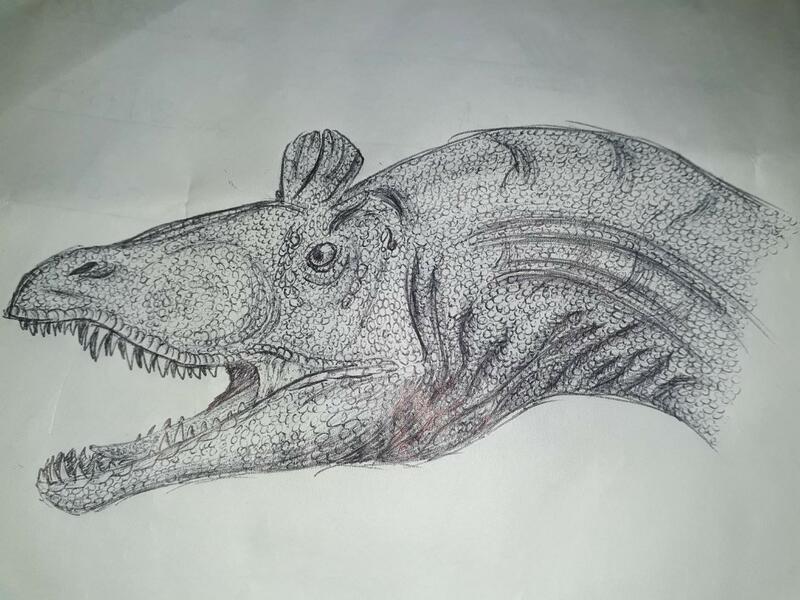 Doesn't much resemble a Spinosaurus, but it had to recognisable as the Alligator base (as that's the animal who'll wear this skin) and be 600x525. Your doodles are excellent, keep up the great work! Been sitting on these two for weeks and I'm too lazy to finish them. I do, at the very least, wanna get that headshot finished, but eh, who knows? I like where this is going. Excellent 3D feel on that small full body sketch. I especially love the stretched leg, it looks sleek but powerful.